Everyone who has travelled on road no.1 between Höfn and Djúpivogur in the east Iceland know the road at Hvalnes- and Þvottárskriður. These places are a huge mountain landslide with cliffs above and below the road. Many days when the weather is bad, with heavy rain or strong wind it can be dangerous to pass the road trough this landslide. Some days the road is closed. This road at Hvalnes and Þvottárskriður was built 1981, but before, the road lied through difficult valley, high in the mountain named Lónsheiði. Until 1981 it was unusual to pass this landslide, even the beautiful coast below. The north Atlantic ocean surf is heavy on the miscellaneous beach which has beautiful gravel beaches and huge cliffs and rocks. Just below Þrottárskriður landslide is Stapavík, a beautiful gravel beach with high rock in the middle, like a huge stoned giant or troll. Along the beach are low cliffs where fresh water seeps out between the geologic age and wets the rocks. The following recording was made near one of this place where the fresh water is dripping of the rock down to the gravel below. Quality headphones are recommended while listening at medium level. Fyrir neðan Þvottárskriður, austur af Hvalnesskriðum, er nokkuð löng malarfjara sem heitir Stapavík. Þessi vík eða fjara skartar gríðarstórum stapa sem minnir á steinrunnið tröll. Stapavík er meira og minna umgirt tiltölulega lágum klettum og skriðum. Þar má víða sjá ferskt vatn streyma undan jarðlögunum og niður klettana. Upptakan hér fyrir neðan var tekin upp á einum slíkum stað í júní 2014 þar sem vatnið seitlar niður klettavegginn og niður í fjörumölina. Í bakgrunni, bak við malarkamb, má heyra í þungri úthafsöldunni þegar hún skellur á fjörunni í gríð og erg, eins og hún hefur gert á þessum stað í árþúsundir. Mælt er með því að hlusta á þessa upptöku í góðum heyrnartólum og á miðlungs hljóðstyrk. Hér er á ferð samantekt af fimm hljóðritum sem tekin voru upp 3. apríl 2011 þegar ég og vinnufélagi minn Haukur Guðmundsson fórum dagsferð um Reykjanesið. Byrjað var á því að fara að Kleifarvatni þar sem farið var að hverum sem komu upp á yfirborðið eftir jarðskjálftana árið 2000 þegar lækkaði skyndilega í vatninu. Ekki var þorandi að fara mjög nærri, því allt eins var víst að maður stigi fætinum í sjóðandi sandpytt. Hljóðritið byrjar á þessum hver. Eftir það eru tvo hljóðrit frá Seltúnhverum. Við eftirvinnslu þeirra hljóðrita kom í ljós að önnur upptakan skilaði einhverjum titringi inn á hljóðritið sem erfitt var að skilja nema um jarðskjálfta hafi verið að ræða. Titringur þessi var á u.þ.b. 10 riðum. Ekki er vitað á hvaða styrk en væntanlega undir 3 á Richter. Frá Seltúnshverum lá leiðinn eftir Suðurstarandavegi um Grindavík vestur að Gunnuhver sem fyrir okkur báðum var orðin ógnvænleg hrollvekja. Hvorugur okkar hafði farið þessa leið í langan tíma, en báðir mundum við eftir þessum hver sem litlu svæði sem gufa lagði upp frá. Nú var þetta orðið gríðar stórt svæði þar sem allt sauð og blés eins og í helvíti á jörð, gersamlega óþekkjanlegt. Það er ekki að furða þó jarðfræðingar séu á tánum yfir þessu skrímsli sem Gunnuhver er orðinn í dag. Myndavélin varð óvirk í eiturgufunum og ég var logandi hræddur um að þvælast með upptökutækin í þessum ætandi gufum. Aðeins ein upptaka náðist af þessum stað þar sem hljóðnemum var vísað í holu í útjaðri hverasvæðisins. Er það fjórði hverinn í hljóðritinu . Frá Gunnuhver lá leiðin að framhjá Reykjanesvita niður í fjöru við Valahnjúka þar sem síðasta hljóðritið var tekið upp. It was in the beginning of mars, earthquake hit my house. Almost nonstop earthquakes shakes landscapes south and east of Reykjavik capital so I was sure my recorder had picked up some earthquakes previous years. I searched in my mind where it was most likely it could have happened. After some research I found one, in almost forgotten recording. 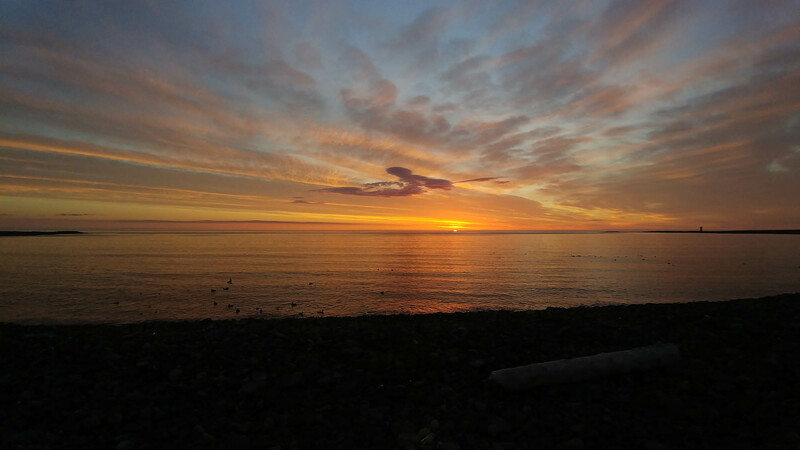 It was recorded in april 2011, when I and my pal at work went a day trip to Reykjanes peninsula. 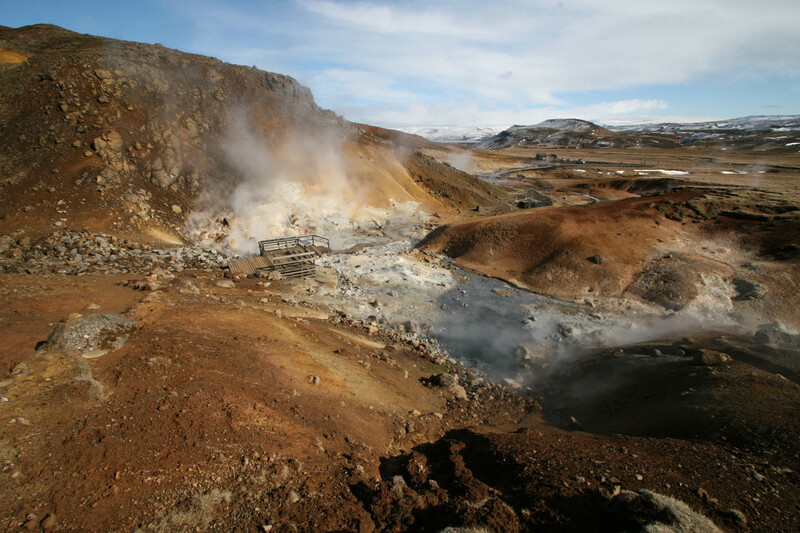 Reykjanes is very well known for earthquakes and geothermal activity. The main reason for this trip was to look at the changes of some geothermal area because of increasing activity last decade. As usual, my recorders followed me in this trip, but I was not satisfied with these recordings…until now. Hereby I mix together five of these recordings as a travel log for this day trip. First one is a hot spring that for centuries has been under water in Kleifarvatn Lake until the lake started to shrink after big earthquake at the year 2000. The second one is also a hot spring recording but it contains the earthquake at very low frequency (10Hz). The third one is another hot springs close by, but with different mics and they did not detect earthquake as clearly. Both this recordings are recoded at Seltúnshver (Seltúns-hver=Seltuns-hotspring). The fourth one was recorded at Gunnuhver close to Reykjanesvirkjun, a power plant that has changes a lot the geothermal activity on Reykjanes peninsula. 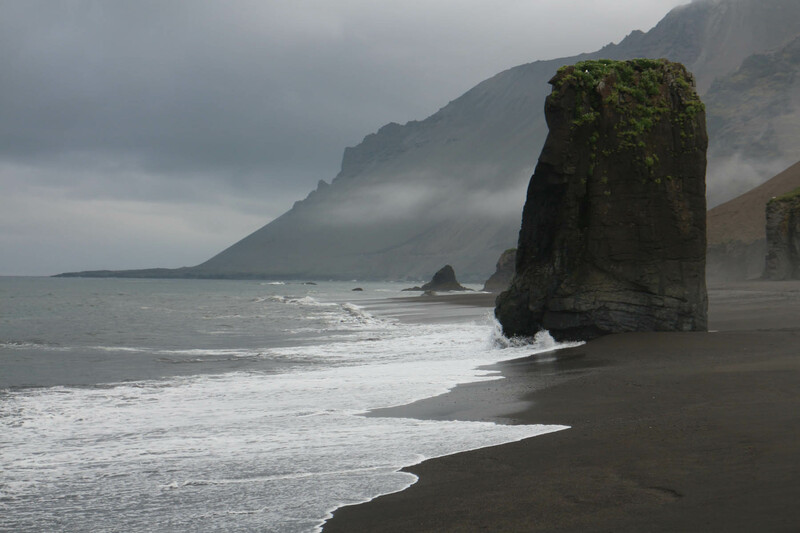 The fifth recording is waves of Atlantic Ocean hammering the cliffs at Reykanestá.